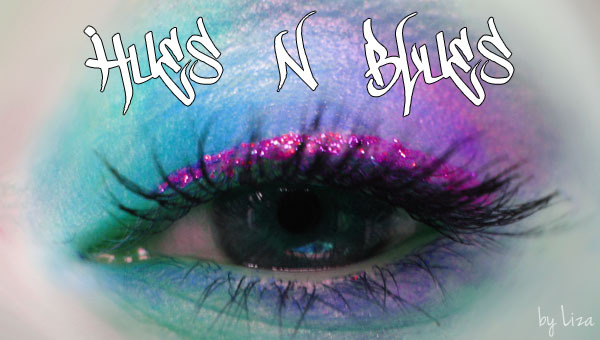 MAC's Club eyeshadow is a very popular colour that a lot of other companies make 'dupes' of. A dupe a name the makeup community has given to anything which closely resembles or copies a particular product, usually something more expensive, hard to find or discontinued. Club itself is a pressed, satin finish shadow, which MAC describes as a "red-brown with green pearl". In this post I've rounded up all the colours I have which are similar to this in my eyes. The eyeshadows that I am comparing are: MAC Club, MUA Shade 12, MAC Blue Brown Pigment and a shade from Famous by Sue Moxley which I got in the 'complete face kit'. I believe that the Sue Moxley colour is also available as a single eyeshadow, however I don't have it so can't compare or give you a shade name, sorry! From the above picture you can see that Club seems to be the least bold, more of a grey-brown, with a very weak duochrome. In real life you can see the green more than in the photo, but it isn't strong like Blue Brown pigment. However, you put it over a coloured base and the green shows itself! I'm not sure if it's obvious from the picture, but Club leans more green than any of the others when you put it over the green base. Here I used the NYX Jumbo Eye Pencil in Rocky Mountain Green. Here I've swatched over a black base (NYX Jumbo Eye Pencil in Black Bean). Again Club's duochrome is really strong, very beautiful! I think overall, any of these are great in place of Club if you want that type of colour, but none are identical. A massive plus for the MUA eyeshadows has to be the price, as they are £1 each, so if price is a concern you can't go wrong with that one if you can get your hands on it! I have the Sue Moxley single eyeshadow - it's rather imaginatively called "Eye Shadow Shimmer - Shade 16"
Thanks for the info Galen! SilhouetteScreams: I got the blue brown pigment just as a sample so it was cheaper, the full jars are too massive for me anyway! Aahhh! I LOVE MAC Club. Definitely need to invest in Blue Brown Pigment!